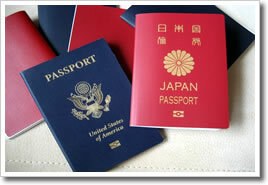 When you are in need to apply for Japanese Visa, Permanent Residence, Naturalization to Japanese or in a trouble such as overstay or illegal stay in Japan, you may wonder if you can obtain a permission from the immigration authority of Japan or how to cope with the problems you have. Of course you can challenge those required legal procedures on your own, but it should be worthwhile for you considering to have consultation and help from immigration lawyers in order not to eventually fail in obtaining a permission or other favorable outcomes. At least, it should be for sure that immigration lawyers shall takes more professional approach on such challenging tasks than those who are not qualified by the Immigration Bureau. We are able and pleased to help you as a qualified immigration lawyer.